My husband bought LittleOne baby magazine for me when I was pregnant years ago. I hadn’t seen the magazine before and knew straight away there was going to be something special inside the glossy pages! It has remained as one of my favorites. 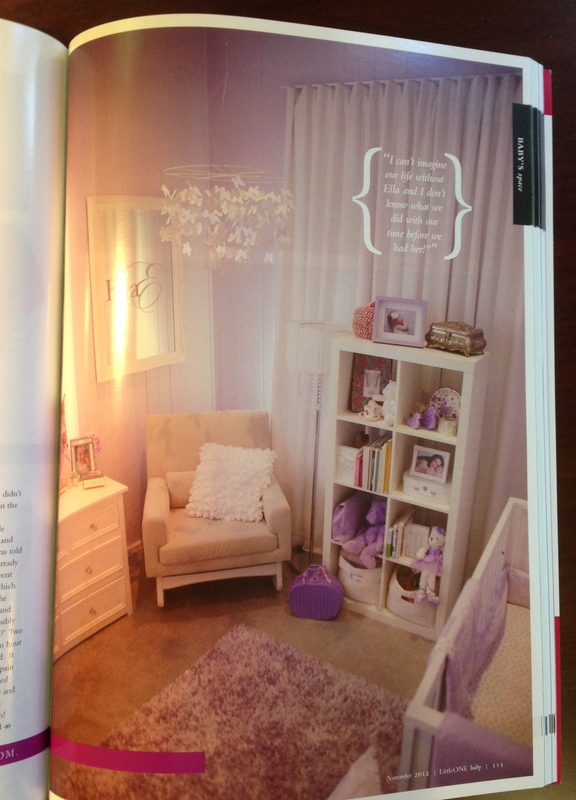 I especially love the features they do on children’s bedrooms titled “Baby’s Space’. 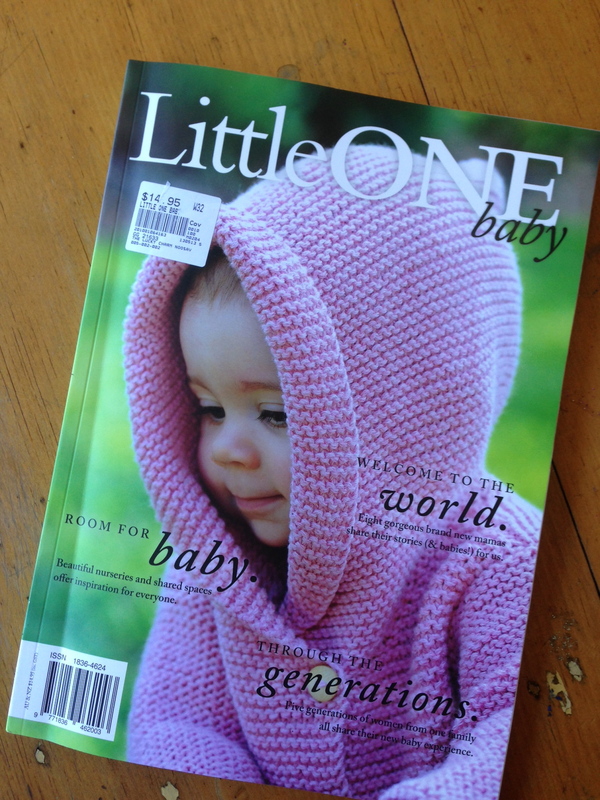 The current issue of LittleOne baby is no exception and has a beautiful feature on new mums- real mums in the hospital just days after giving birth. Amy Doak mentions in her Publisher’s letter that there is nothing quite like “the look of love on a new mother’s face” (LittleOne baby Issue 10 p8). Photographer Kate Monotti has certainly captured this in the recent shoot. 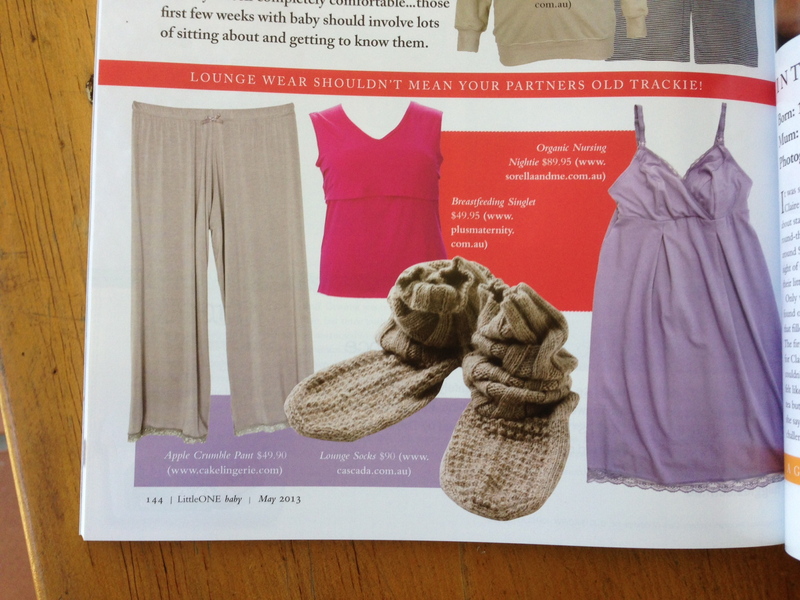 And we were thrilled to be able to supply and gift our sorella & me sleepwear to a gorgeous mum in the feature. I remember a local photographer from the paper coming to my room after the birth of my babies with his camera wanting a picture, boy was I apprehensive! That experience for a little local paper was nothing on these brave and beautiful mums that have said yes to a magazine shoot so soon after birth. Chloe wears sorella & me organic singlet, drawstring pant and lounge wrap. She looks beautiful!!! Congratulations to LittleOne baby magazine on such a beautiful concept and we admire the beautiful women in the shoot that, regardless of the toll the previous days may have had on their bodies, are glowing with beauty and love!! How did you feel after the birth of your baby? Would you have been brave enough to pose for a magazine?!! !